Are you considering orthodontics for your child? Taking your child to see a dentist early can prevent future problems and avoid surgery. 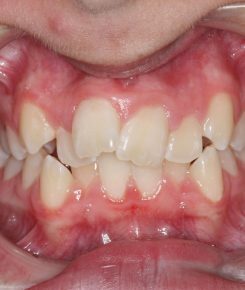 Many parents believe that orthodontics can wait until all of the child’s milk teeth have erupted. The truth is, addressing your children’s dental issues when they’re younger has the potential to reduce the amount of time they spend in orthodontic treatment later. 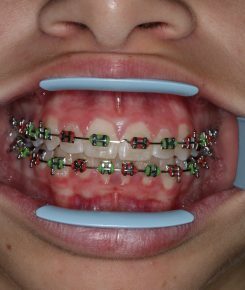 There are many issues that can be corrected through early childhood orthodontic intervention including underbites, overbites, open bites, deep bites, cross bites, crooked teeth, and jaw problems. At Terrigal Dental, we help parents understand the significant role that early orthodontic evaluation and treatment play in their children’s dental health. Our job as dental professionals is not merely to fix problems but where possible, prevent them from occurring. Early detection and treatment of your child’s orthodontic problems can mean the difference between a minimally invasive procedure now and complex surgery later. From as early as 6 or 7 years of age, your child may be assessed to determine whether there is a need for braces. Our friendly staff can organise an appointment for an orthodontic consult for your child, and discuss with you the range of orthodontic options available. 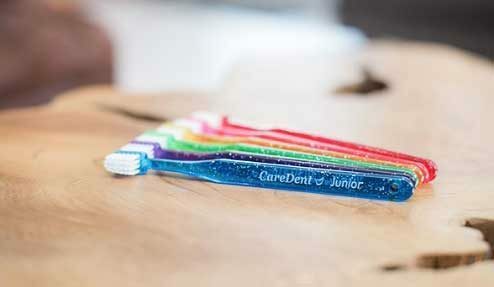 We provide extensive orthodontics, cosmetic and general dental treatment for the Terrigal and Central Coast Community. Our Practice Is Driven By One Simple Thing, Our Values. Our aim is to provide our patients with a warm, welcoming environment in our patient lounge which is equipped with the latest magazines as well as a Espresso machine and water.